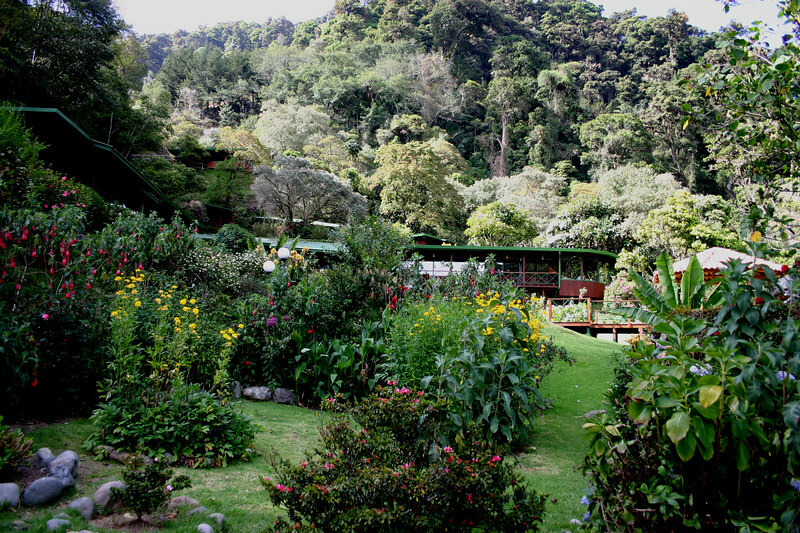 After dropping down into a narrow valley on a steep, winding road we arrived at our last destination, Trogon Lodge, a paradise of lush tropical vegetation . . .